SHEDsistence is a gorgeous tiny house designed and built by Outdoor adventurers Robert and Samantha. The tiny house is 24′ long and wrapped in reclaimed corrugated metal siding that used to be a barn roof. 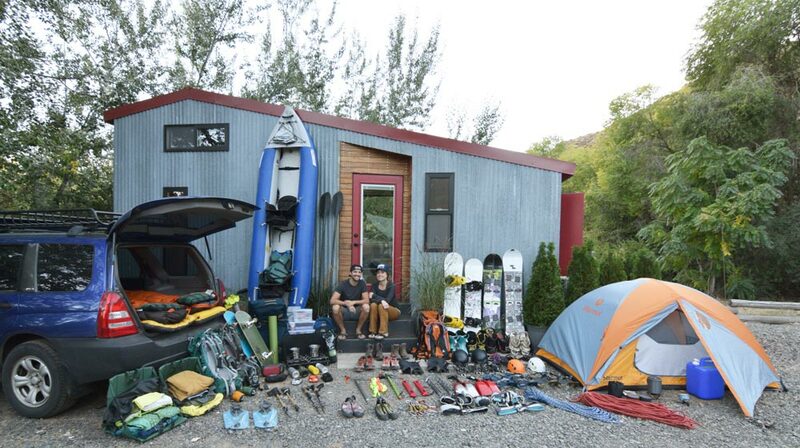 24-square-feet of space is dedicated to the externally accessible “gear room” to hold all of their outdoor gear, which they consider essential tools to their health and happiness. In the picture below you can see all the gear that fits in their storage space! For more information and pictures visit SHEDsistence website.